There’s a surprising amount of grooming involved. There are such things as “bad beard days”. It covers most of my face. It requires the use of "products". It grows in different directions. It still catches me off-guard in the mirror. It draws attention to me. I need more time in the morning routine. Strangers want to touch it. Strangers want to talk about it. It’s one damn, good-looking beard. 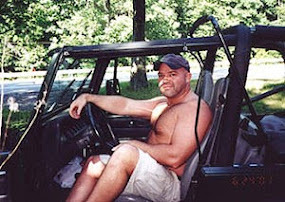 The shaved head/stubble beard has been my look for the past, oh, 25 years or so. When I started shaving my head in the early 90's, no one else was doing it. People thought I had cancer. I got called "Kojak" because he was the only bald white guy anyone had ever seen to that point. I started the stubble beard in college at the request of my then-boyfriend, and I've kept it (for the most part) ever since. I've never had more than a 5-day growth. So last Thanksgiving, I decided to just stop trimming and allow my beard to grow full - just to see what it would look like. A full beard requires a lot - and I mean A LOT - of maintenance to look good (or at least mine does). I have it professionally groomed by a barber once a month, and then need to do my own clipping/trimming/shaping on a daily basis. Beards, just like heads of hair, can have minds of their own: one day it will lay perfectly and look great, then the next it's curling in different directions and reacting to humidity. And not having hair on my head for the past 25 years has ill-prepared me on how to deal with the unruly. Beard oil or just coconut oil? Oil it once, twice or more times a day? Brush it with a boar's hair brush or only use your fingers? Use balm or keep natural? Touch it always, sometimes, or never? A by-product of having a (arguably enviable) full beard is the attention it invites. To be honest, I didn't expect it. Men stopped me on the street to compliment it. Once, a car stopped at an intersection to allow me to cross because, as the driver yelled out to me, "I'm only doing this because you have a great beard." I'm not one for the spotlight or attention. And as nice as the compliments were to hear, they still made me uncomfortable. I had my full beard for 6 months last year, shaving it off for a wedding in May (at one of the groom's request, no less). It was nice not having it through this past summer; it can get hot and itchy sometimes. Kevin requested that I grow it back for our trip to Europe, because he wanted a picture of me with my beard wearing lederhosen (picture at right). He does so much for me, it was the least I could do. I look quite Bavarian. So once Hallowe'en is over (for which I typically am smooth-faced anyway), I'll be growing it back again, but perhaps not to the full length I had before. But as my Mother has been telling me for years, I just seem to have one of those faces that looks better with something on it, or at least partially covered up. And I'm fine with that. Without the beard, I look much younger, but with a fuller beard, I look much older. Somewhere in there is a happy medium. Until I find it, I will just need to continue to not ACT my age.